Why is water blue? How can a shape defy gravity? Why do bees make hexagonal honeycombs? 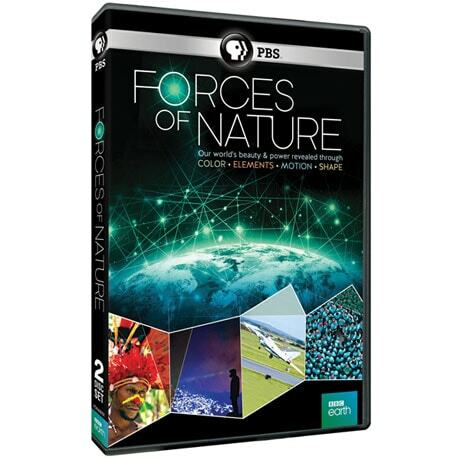 Hosted by charming British professor Brian Cox (Wonders of the Solar System, Wonders of the Universe), this 4-part series takes you on a grand tour of planet Earth to explore the complex natural forces that shape our planet and our lives. Co-produced by PBS and the BBC, seen on public television. "Stunning cinematography coupled with exotic locals"—Daily Mail(UK). 4 hrs, 2 DVDs. The forces of nature make Earth a restless planet, but they also turned our ball of rock into a home for life. How did our planet's ingredients, the chemical elements, come together and take that first crucial step from barren rock to a living world?